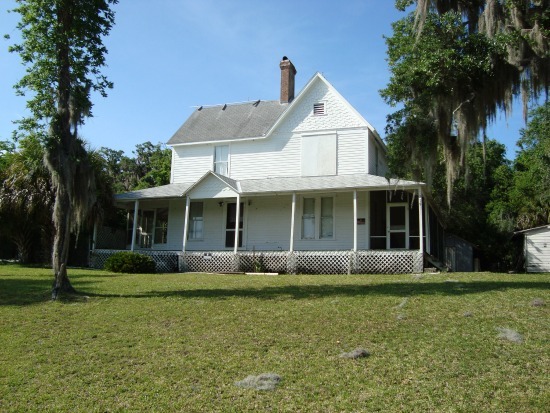 Northeast Florida road trips and scenic drives are designed to show you what is probably the most historic part of Florida. 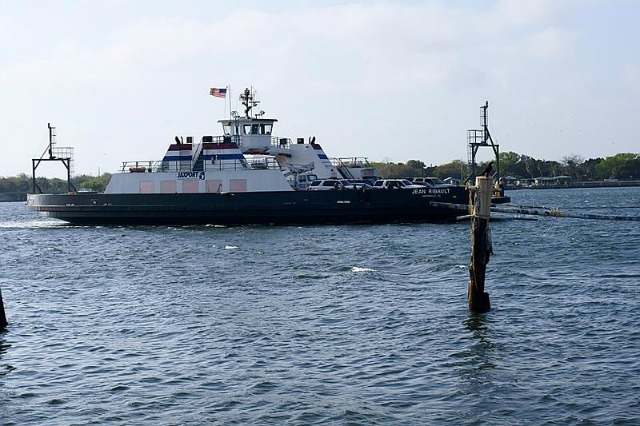 St. Augustine is the oldest city in American, and Fernandina was Florida's first real significant port. Both are in Northeast Florida, and Fernandina is as far north as one can go in the state. I-10 is the east-west interstate in this region. It crosses the state of Florida from Pensacola to Jacksonville. I-95 is the north-south interstate in this region. It comes in from south Georgia and goes all the way down to Miami. The interstate highways are often clogged with traffic, and the exits are jammed with gas stations, fast food restaurants and motels. You can travel the state quickly and easily on these highways if you are in a big hurry (except during rush hours), but not see much scenery or real towns. The town signs you do see at the exits are usually several miles from the downtown section. The adventure begins when you get off the interstate and hookup with the less traveled roads. There are many state and county highways off the interstate that offer better scenery and a look at real towns. In Florida, some of our backroads are even four-laned. The maps below show a few Northeast Florida day trips that I recommend. If you are more interested in places to go rather than the routes, see Jacksonville Florida Day Trips. 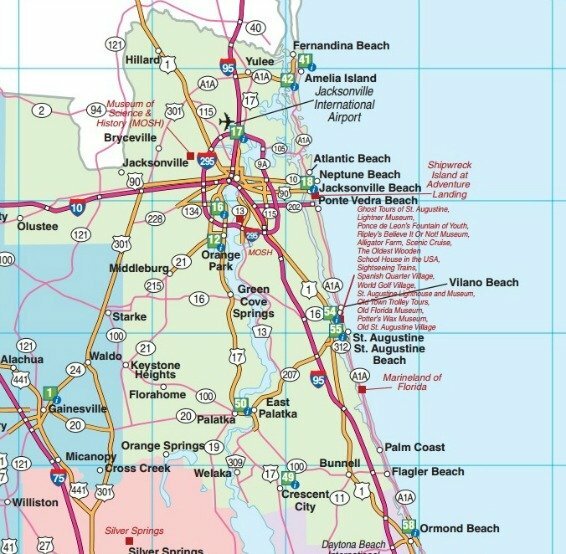 SR-A1A from Fernandina Beach through Amelia Island, the St. Johns Ferry to Mayport, Jacksonville Beach, Ponte Vedra Beach, Vilano Beach and St. Augustine. High sand dunes and a white foamed Atlantic surf. About 80 miles. SR-13 from Jacksonville to Spuds along the east side of the St. Johns River. 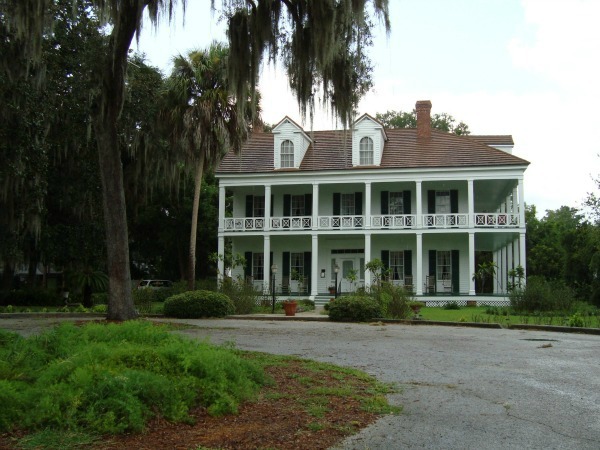 Old homes, little villages, oak canopied roads and Spanish Moss. Beautiful river views. You will go by the historic homes of composer Frederick Delius and writer Harriet Beecher Stowe. About 55 miles. County Road 2002 (also known as Old Dixie Highway) from US-1 at Korona (south of Bunnell) across I-95 to the Atlantic Ocean between Flagler Beach and Ormond Beach. This is arguably the most beautiful road in Florida. It passes through unspoiled wetlands beneath oak canopied roads and myriad sabal palms and palmettos. It meanders along the marshy waterways and comes out at Highbridge Road, which then leads to the Atlantic Ocean beach on SR-A1A. About 6 or 7 miles, who's counting? 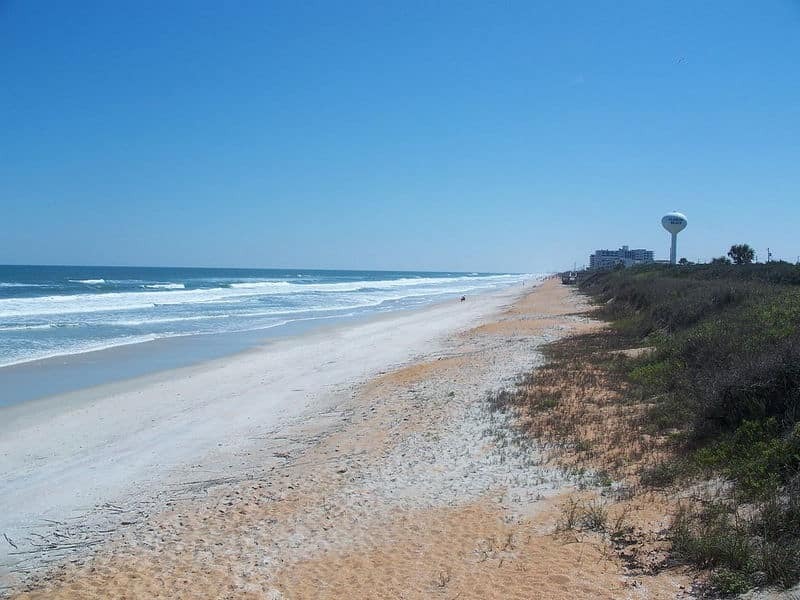 SR-A1A from Highbridge Road to St. Augustine through Flagler Beach, Summerhaven, Marineland, Crescent Beach and St. Augustine Beach. 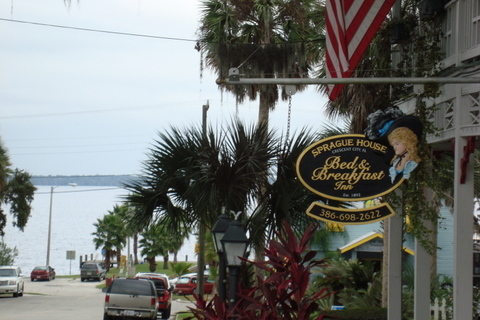 Interesting ocean inlets, road close to the beach and the Intracoastal Waterway, old Florida beachfront communities. About 30 miles. 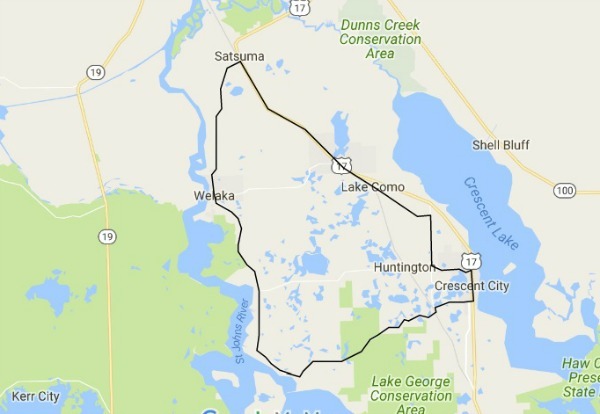 US-17 from Orange Park to Crescent City through Green Cove Springs, Palatka and Lake Como. Rolling terrain, old Florida towns, and the beautiful St. Johns River, Log Cabin Winery Stegbone's Fish Camp, Crescent Lake and Crescent City along the way. About 64 miles. 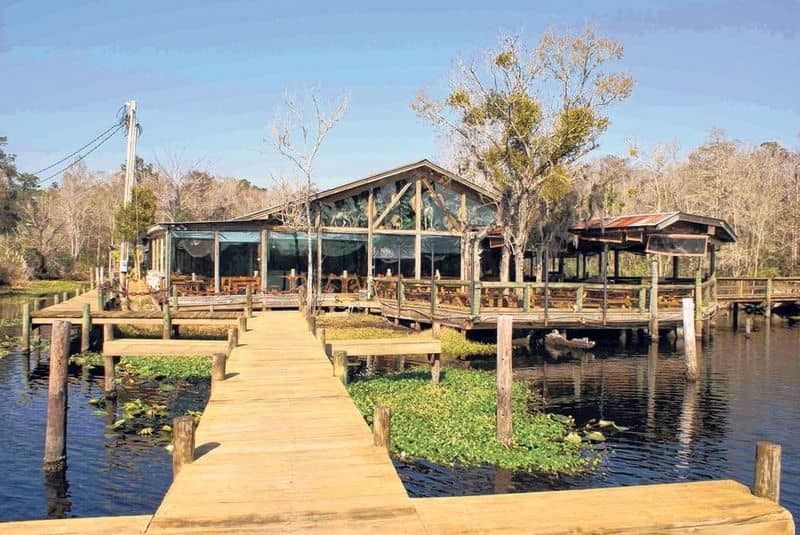 The area north of Jacksonville, on the north side of the St Johns River, is full of scenic drives and has more unspoiled natural environment than any other Northeast Florida day trips. From US-17 north of Jacksonville, take New Berlin Road east to Yellow Bluff Road where New Berlin changes its name to Cedar Point Rd. Stay on Cedar Point Road to Pumpkin Hill Creek Preserve State Park. East of the state park, the road turns south. 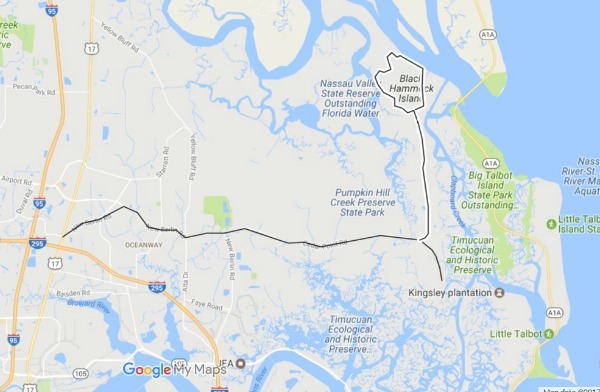 At that point, you can take a left on Sawpit Road and drive north to the isolated residential neighborhood of Black Hammock Island. If you stay on Cedar Point Road instead, it dead ends at an observation area in the Timucuan Ecological and Historic Preserve. Take US-17 from Palatka south to Satsuma. Then continue south on CR-309 through Welaka and further south to Georgetown. Then turn left (East) on Georgetown-Denver Road to Junction Road and into Crescent City on US-17. Go north on US-17 to Huntington Road and turn left. 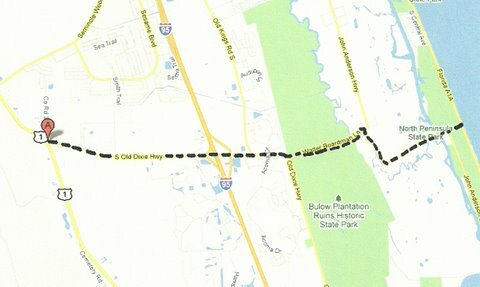 Follow Huntington Road to Union Avenue, then north on Union Ave to Old US Hwy 17, then left on this old highway back to US-17 and on into Satsuma. About 26 miles. An interesting addition to this trip is the Fort Gates Ferry located a few miles west of Crescent City.